*I have to admit that when I finished this book, I completely forgot to blog about it, so I am predating this entry to reflect when i took my AR test. I also have to say that my recollection of this story might be a little fuzzy since it was nearly a month ago. 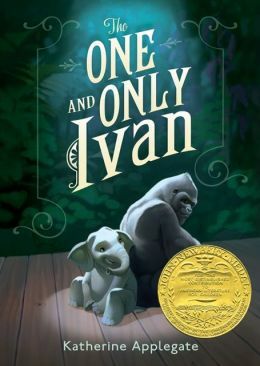 The One and Only Ivan is the story of a male silverback who lives in a mall with an elephant and a stray dog. He has memories of his life as a wild gorilla in Africa, as well as his parents’ murder and his sister’s kidnapping and death. He has become a lazy sort of gorilla, and completely misunderstood. However, he values his friendships, particularly with an elephant in the pen next to him. 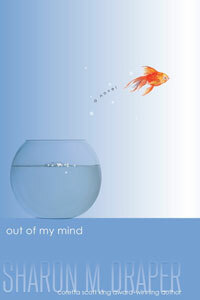 Ivan experiences love and loss, and has memories and emotions not unlike humans’ experiences. What I liked about this book was the realness of living in captivity from the perspective of the animals actually experiencing it. I love zoos and basically anywhere I can see animals up close. I realize these animals have been taken from their natural habitats, but I rarely consider whether they had families they left behind, or if they are happy, or if they actually love and respect their keepers. I see a cute animal and want to observe it. Now, obviously, this story was written by a human and not a gorilla, but it put captive animals’ possible thoughts into perspective. What I didn’t like about this book was that it makes me not want to go to zoos anymore, even though in the end, the zoo was the happy medium. I would hate it if the animals I enjoy looking at had to experience what Ivan experienced. Deep, I know. I apologize for the cheesiness of this post, but while it was a good book, it didn’t grab me like others have. There is nothing I can say about this book that you won’t see on another website that raves about awesome books. 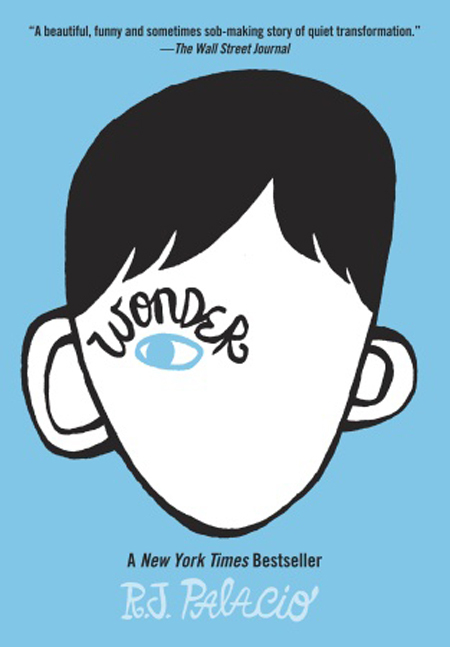 Wonder is just that- an awesome book, but it’s more than that. August is an incoming fifth grader with a facial deformity. He has, prior to fifth grade, been homeschooled and sheltered from the meanness of kids, although he is aware that it exists. His parents get him into Beecher Prep as a middle school student, much to his dismay, and 3 students are assigned to show him around and help him adjust. They do not all prove to be the best candidates for the job, one making Auggie’s life more difficult than necessary. Throughout the story, we see the meanness that we can expect from ignorant people, as well as the reactions that would be expected from kind people when they see his face for the first time. (I had to ask myself whether I would flinch when seeing it for the first time, and I think I probably would, not because I am a terrible, but it wouldn’t be expected.) Auggie persists and carries on, even in the toughest of situations, and we see not as much how he changes because of his experience, but how others change because of him. What I liked about this book was the message, of course. I said before that I have this obsession with books about kindness and tolerance. I’ve read Rules, Out of My Mind, and now Wonder. (BTW- what the heck took me so long? It’s been in my classroom for over a year and has passed through the hands of nearly all of my students!) There is something about Auggie that is so likable, and the reader feels compassion for him. I can only hope that the message is spread to those who need it the most. Another thing I really liked about this book was the precepts. I would love to have a wall in my classroom where students can write their own precepts, inspirational quotes, or something that made them think. Because really, that is what I want my class to do- think. Not about the book, not about the assignment, but about themselves and how others see them. What is their legacy? What is it that they want others to think when they hear their names? Right now, I have several who need to think long and hard about that. What I didn’t like about this book was that Julian never got burned! I like a good revenge embarrassment. But really, the book would not have been the same if revenge was a theme. This is an absolute must-read. Unfortunately, I cannot read it to my class since I am one of the last to get my hands on it!